..and to add insult to injury two of these I have already posted here. But in the spirit of complete-ism and putting everything down this blog pipe, here we are. Notebooks Zebulon (9 x 14 pocket Moleskine) and Leonidas (8 x 11 homemade pocket book) are now retired (so you can see I do continue to use them, it’s just most of the content is not suitable for posting in the internet (and I mean that in a nice way)). Ethel (13 x 21 Moleskine) is still going strong, and is what I am mainly using for writing, mapping, drawing, general ranting and work. I also have a new shiny currently un-named homemade pocket book. I’m sticking with just the two for now, as I’m currently liking seeing the consistency and flow in build up in Ethel, and I obviously need a smaller pocket book that I can be a Everyday Carry type object for emergencies. Notebook Zebulon is close to the end. But there are a few corners not filled with indecipherable tiny writing. (above from a week or so ago) Notebook Zebulon is close to the end. But there are a few corners not filled with indecipherable tiny writing. A few items are coming to a head, at BDH one large project at work is being broadcast at the moment and the Very Large Animation job we did earlier in the year is on the brink. Also a small personal piece to be published in a new and very exiting way with other stuff that’s much better than mine. The “things planned” part are art things (as opposed to wok things) that I hope to post about here as I progress through them. That involves removing a few shackles of hesitancy on my part. Not to mention my bionically slow progress. But one can only try. What? Oh, yes sketches, they get pushed to the back of the queue on a daily basis, then I feel bad. But I have to keep reminding myself, NOBODY CARES, so it’s ok. Might also start playing with posting them straight here and pinging them out then putting them on Instagram, instead of the other way around. Various horizon lines drawn from the window of the 11:30 to London Paddington. Going through Bath Spa, Chippenham, Swindon, Didcot Parkway. Back-ends of various vehicles drawn during mildly epic road trip (when stationary and when it was safe to do so, obv) from Hunstanton through Peterborough, A47, M6, M5 etc. 7 hours journey time in total. See images of both #east and #west seas (taken on same day) earlier in this feed. Hot air balloon that just flew low over our town at speed. They take off from Ashton Court which is about 9 miles away so they seem to have got the pace without the altitude. We could see the shape of the flames from the burners very cleary. 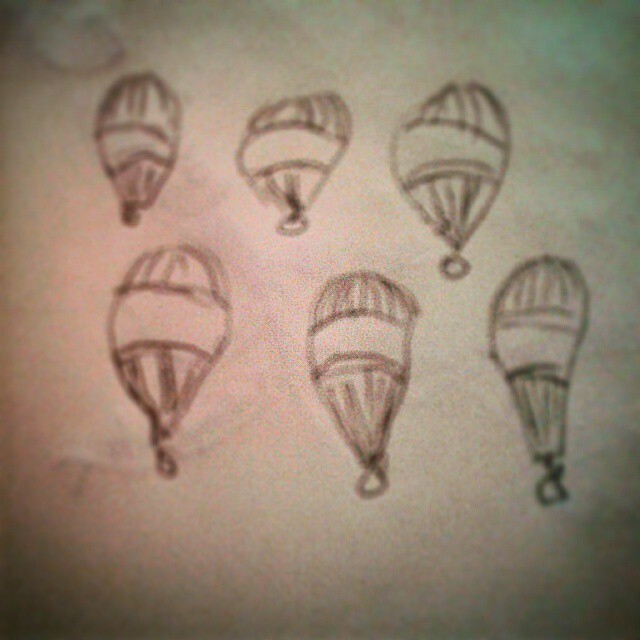 I have friends who have seen balloons so low over Bristol they have had conversations with the occupants. 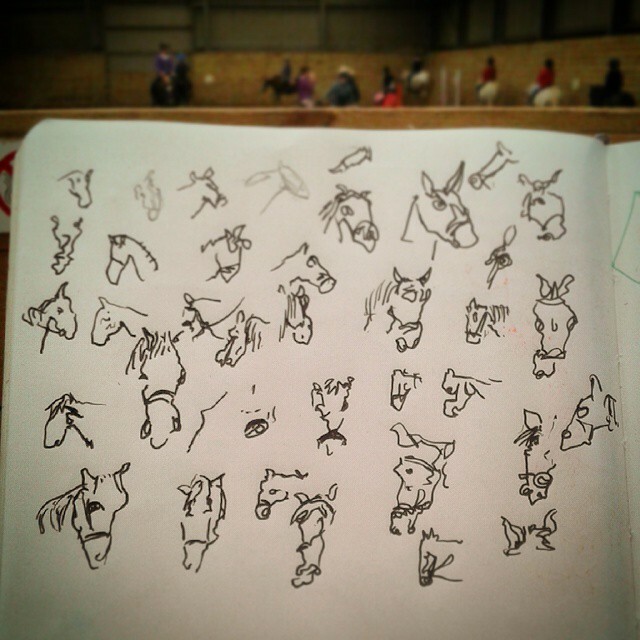 Heads of moving horses, drawn without looking.